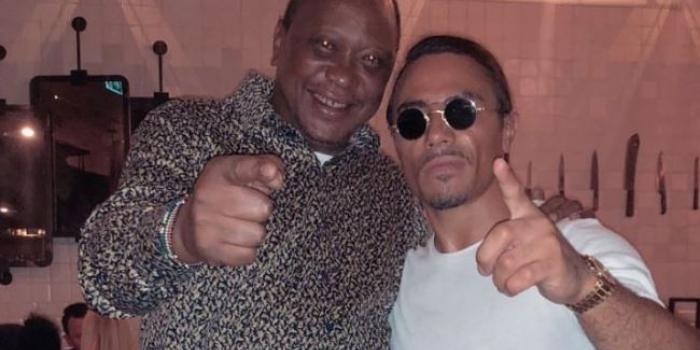 Monday, September 10, 2018 - President Uhuru Kenyatta received a backlash from Kenyans on social media after a photo of him hanging out with international celebrity chef, Salt-Bae, emerged. The chef shared the photo on Friday after Uhuru visited his restaurant in Dubai to have a taste of his delicacy. Kenyans threw jabs at Uhuru saying that while they are suffering due to the high cost of living, he is busy eating meat in Dubai instead of solving their problems. Salt Bae is not your ordinary chef. The man understands his job and he has crazy skills of cooking meat. Check out these 6 videos in the next page and see how he cooks his meat like a professional.